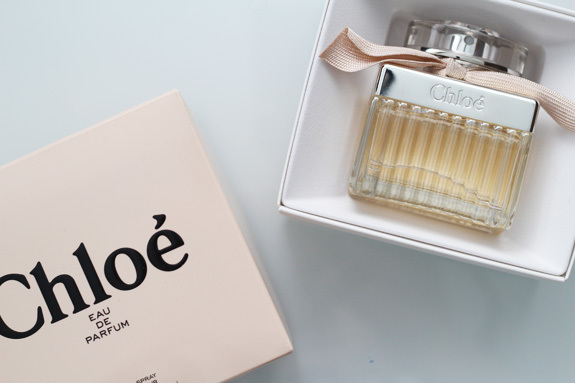 Oh how I love Chloe Eau de Parfum! Not exactly my 'weekly' love as this is my ultimate favourite scent. I decided it was about time I shared with you my go to fragrance. This fresh, smooth floral fragrance is perfect for all women. The aroma is sweet, feminine, and chic. There are top notes of pink peony, freesia, and lychee, and at the heart, midnotes of magnolia flower, lily of the valley, and rose. Elegance comes through with the scents of cedarwood, amber, and honey. The bottle and bow create the most beautiful product to place on your dressing table or shelf. I received this bottle as a Christmas present, and it included a lovely cosmetic bag, samples of perfume and small bottles of body cream. I guarantee that you will love this perfume, so that next you are in a perfume boutique or department store like Debenhams, have a little sniff and see what you think!